PMP: There is Still Time to Pass the PMP Exam! When is the PMP Exam Changing? Is there still value in obtaining the PMP certification? Answer here and then see the results from you peers. Get a PMP Exam Prep Plan here. Find the PMBOK® Glossary Terms and Definitions 5th Edition online here. Get a PMP Application Template in Excel here. Get thousands of FREE PMP Exam Prep questions here. PMP Exam Day Tips here. We thought you might like to take a stroll down memory lane! Where were you when these pictures were taken? Over 275 Articles, Videos and Podcasts to help you prepare for the PMP certification can be found here. Thousands of FREE PMP Exam Prep Questions from here. Already PMP Certified? Over 150 Articles, Videos and Podcasts just for you here. PMP: Invest Your Holiday Break Wisely; Prepare for the PMP Exam! Find the PMBOK® Glossary Terms and Definitions online here. PMConnection is home to thousands of FREE PMP Exam Prep Questions (Practice Questions or Mock Exams). They can be sorted Alphabetically, by Date added, by Rating or by Popularity. See all the Free PMP Exam Prep Questions here. To help your peers, be sure to Rate or Report Broken Links. 2. Better aligned PMBOK® with other standards including the new Agile Project Management standard. 4. Now conforms to the DIKW (Data, Information, Knowledge, Wisdom) model used in the field of Knowledge Management. 5. Definition of a Project Management Office (PMO) expanded. 6. Project life cycles expanded. 7. 248 pages minus the glossary. 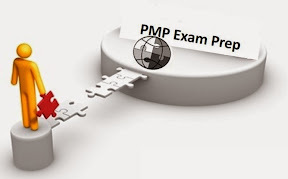 The PMP Certification exam will change to align with PMBOK® 2013 5th Edition on July 31st, 2013. *Quote:* Since the PMBOK(R) Guide—Third Edition was published in October 2004, there have been two errata sheets. The first pertained to the first printing of the book (or CD-ROM). The second errata sheet pertains to all printings up to the current (fifth) printing. In order to determine the print run of your book, refer to the bottom of the copyright page (which precedes the Notice page and Table of Contents). You will see a descending numerical string of numbers beginning with 10. The first printing of the PMBOK(R) Guide—Third Edition will show the numerals 10 through 1. With each subsequent print run, the lowest numeral is removed from the string. Therefore, if your copy of the PMBOK(R) Guide—Third Edition has all 10 numerals, you have the first printing and you will need both errata sheets. And please check out our PMP Podcast at http://www.pmprepcast.com - It's definitely the easiest way to prepare for the PMP Exam: Just put on your headphones, listen and learn. The First True PMP(R) Podcast. For best experience, use the Printer Friendly option to the right, print this out and circle the best answer. Answers are located at the bottom, but no cheating!! 1. You are working on a project at a client’s site. While working on your project, you stumble into a possible flaw in the design of a project that was completed six months ago. This project was also managed by a representative of your organization. No one else is aware of this possible flaw and you do not believe any problem will be apparent for another two years (well after you are done with your current project). In this situation, what should you do? a. Do nothing because that project is complete. b. Notify your management both orally and in writing. c. Notify the customer directly. d. Take steps to ensure this type of problem does not occur with your project. 2. You have been assigned to a new project and have finished the scope statement. You and your team are now going to create a Work Breakdown Structure. You are spending a lot of time discussing how to create a completely decomposed Work Breakdown Structure. Which of the following is not relevant to this discussion? b. Time/cost is easily estimated. c. Start/end events are clearly defined. d. Resource availability can be reliably foreseen. 3. A risk management plan should be tailored for each project in what way? a. Some companies use predefined templates for risk management plans. b. Certain companies have predefined roles and responsibilities as they relate to risk management. c. The risk management plan should ensure that the level and type of risk management efforts are appropriate to the level of risk and importance of the project to the company. d. Some organizations have predefined risk management policies that must be tailored to an individual project. 4. You are in a meeting with 4 of your subordinates. How many communication channels are there? 6. In examining the progress of our project, you determine that actual cost of the work performed so far is 67k. The Budgeted Cost of this work was 55k. What is your CPI? 7. You have asked two different individuals for an estimated duration of a task. Your manager stated it should take 8 days. The new developer says it will take 18 days. But based upon your experience of having seen this many times in the past, you feel it will most likely take 11 days. You decide to employ the three point estimating technique. What is the output of this estimate? 8. When preparing to implement quality control on your project, all of the following should be considered except what? 9. You work in a matrix environment. You are discouraged by the fact that many members of your project team are not aware of the progress of the project until this is discussed in your status meeting. Which team development approach would best resolve this situation? For thousands of other free PMP exam prep questions, visit this link. So you passed the PMP exam and have been applying all those fundamental principles on your projects. Perhaps you’ve gotten a new job, promotion or even received an increase in salary as a result of the additional knowledge. In a nutshell, you realize the PMP is of value and you would like to remain PMP certified. You know that in order to maintain your PMP certification you must acquire 60 PDU’s over the course of 3 years. You’ve ventured to PMI’s CCR site and perhaps even logged a few PDU’s. But you realize that you are still far from having 60. How will you ever get there? Well, if money is not an object, then acquiring 60 PDU’s is easy. All you have to do is find a find a few project management related seminars or training classes, pay your money and attend. 60 PDU’s will come quickly. But if you are searching for a more economical approach to acquiring your PDU’s, all you have to do is follow the 5 following steps. This approach will not be easy, as it may require considerable time and effort. But the there are two major benefits. One is that there will be very little direct costs to you. The second benefit is this economical approach will place you in great networking situations. You will have the opportunity to interact with others in the project management field. These contacts can help you resolve your difficult project issues or provide you an inside track to those un-advertised open project management positions. That’s right, simply performing your job as a project manager for 1500 hours per year is worth 5 PDU’s. 5 PDU’s per year for 3 years is 15 PDU’s. Do the math. Already, you are 25% there!! These PDU’s should be logged into sub-category 2H. Sub-category 2SDL grants us 1 PDU for each hour of “Self Directed Learning”. There is a limit of 15 PDU’s, but why not claim them all. Pick a topic that you would like to learn about and begin your research project. For example, perhaps you would like to know more about Program Management, Portfolio Management, or Using MS Project to help you better manage your projects. The Research Center at PMConnection provides a great online source for your research. There is no formal tracking form that PMI requires one to fill out, but it is advised to keep a personal record of all books or articles read. It might even be a good idea to produce powerpoint presentation summarizing your research or perhaps a nice article. Your tracking form and summary report may prove beneficial if PMI would ever audit your PDU records. Producing an article can actually help you with step 3. So if you elected to produce an article from your 15 hours of research, most of your work is complete. All you have to do now is get it published. Try submitting your article to MPA for publication in “The Project Network” or PMI for publication in “PM Network”. If they elect to publish your article, you have just earned another 15 PDU’s!! These get recorded into sub-category 2B, which is getting published in a non-refereed journal. Find your local PMI Chapter and volunteer a little time. 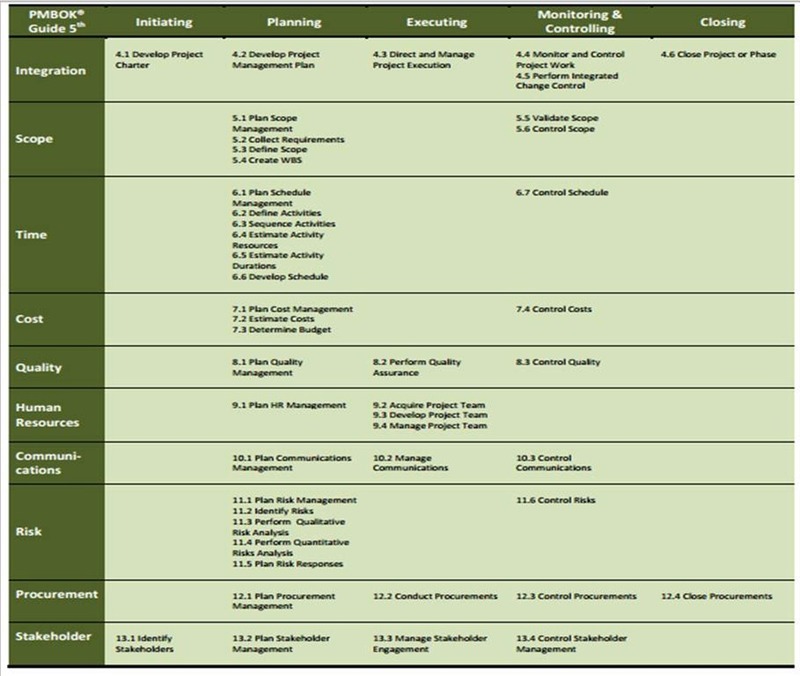 Being a committee member of a project management organization for a year is worth 5 PDU’s. If your closest chapter is too far for a convenient commute, you might want to check out this page of PMI’s website as they are always performing some type of research and rely upon volunteer committee members. These PDU’s get logged into sub-category 5B. One notch above a committee member is becoming an officer of a project management organization. Again, your local PMI or MPA chapter provide this opportunity. Being an officer for one year is worth 10 PDU’s. These get logged into sub-category 5A. If you’ve been keeping a running total, you’ll realize we have now accumulated 60 PDU’s. Below is a nice little scorecard that summarizes our 5 steps. Regardless of how you plan to earn PDU’s, get started now! The longer you wait, the greater pressure you put on yourself and the more likely you are to have to attend an expensive event to meet your PDU requirements.